Food Photography is considered challenging especially that it is a collaborative work between the photographer and the food stylist. Another factor that makes it taxing is the subject of photography.One needs to look for visually perfect food ingredients and it should be styled in a manner that it will look as attractive as possible. This kind of photography demands that the photographer should make the food visually interesting and inviting using effects like selective focus, tilted plates and extreme close-ups. In this article, we will showcase, 36 Food Photographs taken by both amateur and professional photographers. Prepare yourselves for you’ll surely end up salivating after seeing these delectable and scrumptious photosof various food preparations! 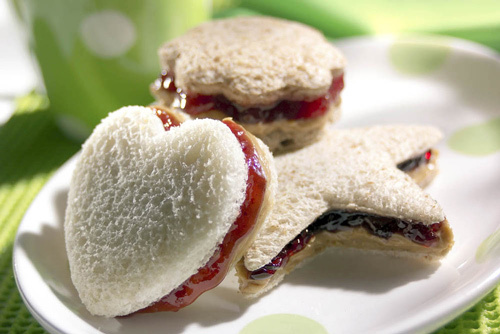 Kids will surely love this delicious treat which comes in shapes of heart, flower and star. 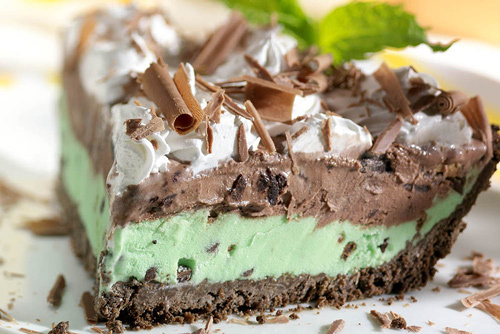 Well, even adults will certainly want to have a bite of this. 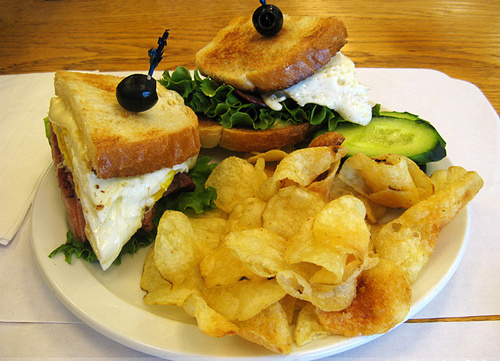 Hmmm…Mere presentation of this breakfast sandwich with potato chips make one wanna wake up early morning each day. 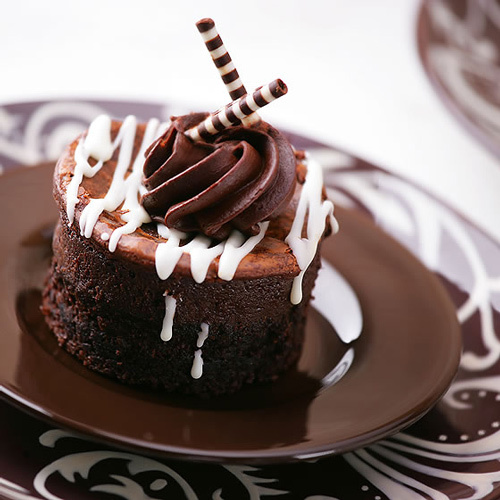 A sweet dessert with chocolate on top of it, everyone would really want to have this on their coffee tables. Not only Japanese people want to have a bite of this beautifully garnished meal. Looks fresh and healthy doesn’t it? The way it taste might be more delicious than the way it looks. 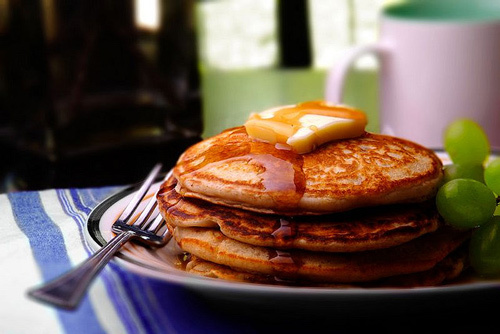 The melting butter and the pancake syrups is a great additive in making this shot salivating. 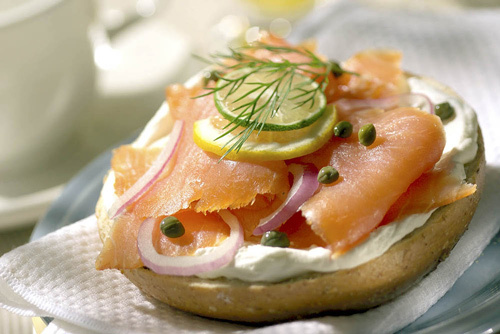 This could be another delicious breakfast with unions and lemon garnished on top of it. Who would think that eggplants could be cooked and served in a truly luscious manner? 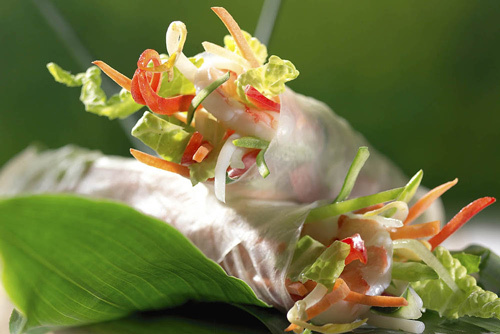 A fresh wrap of vegetables good for veggie lovers and could make non-veggie lovers love vegetables when they get a taste of this! So mouth-watering isn’t it? 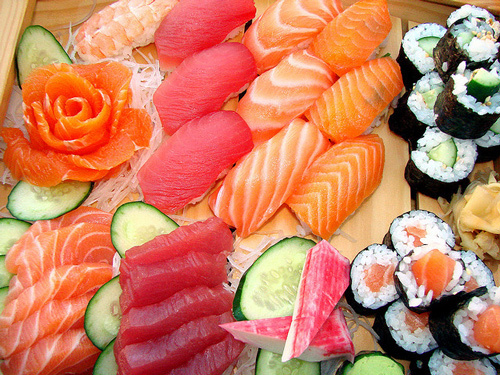 You could see the ingredients of a sushi beautifully laid on the table which makes crave more for sushi. A perfect combination of carbohydrates and protein sources. 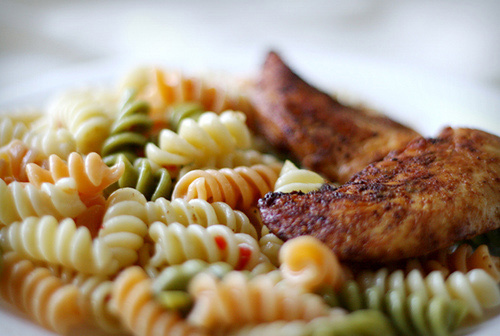 Its great shot could be as great as how this pasta and chicken tastes. 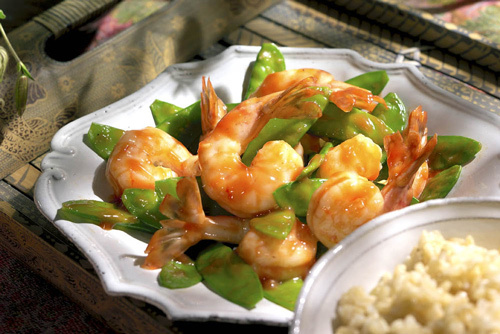 One of the most loved seafood; shrimp mixed with vegetables is not only delectable but also healthy. 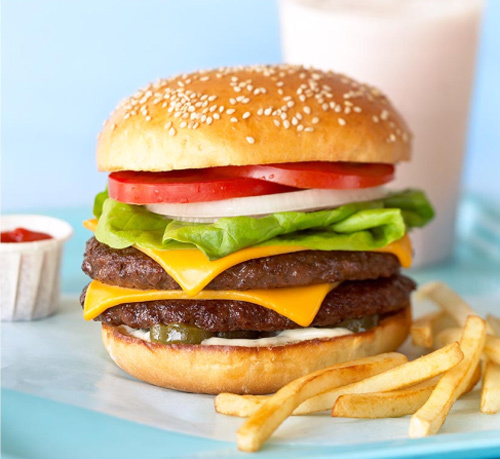 Our everyday favourite, burger and fries that come with a glass of softdrink in this beautifully made shot. It is challenging to take pictures of burgers because buns dent easily and they quickly lose visual appeal. 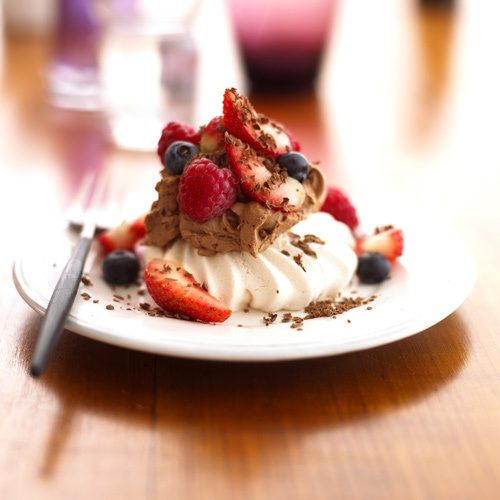 Strawberry and chocolate in this light, airy and sweet dessert of meringue. Meringue is made from whipped egg whites and sugar usually mixed with confectioner’s sugar or cream of tartar as binders. 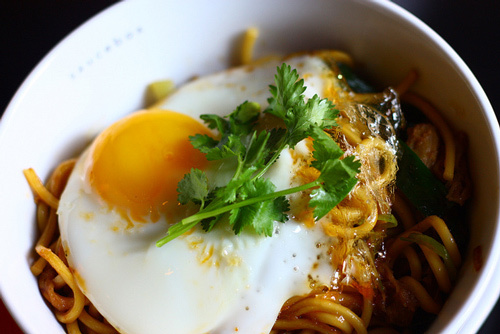 Made with udon which is a thick wheat-flour noodle usually used in making soups is a popular Japanese cuisine and have reached the corners of world due to its unique taste. 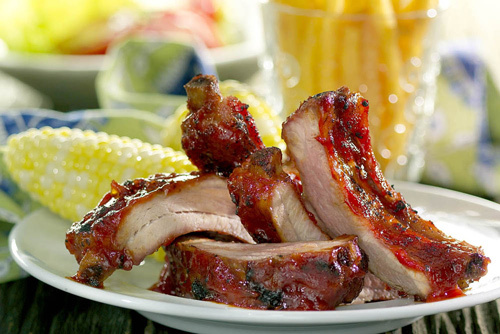 Shot for a restaurant, this barbecue grill according to the photographer tastes truly delicious. You won’t believe me that this shot was only taken in a garage. 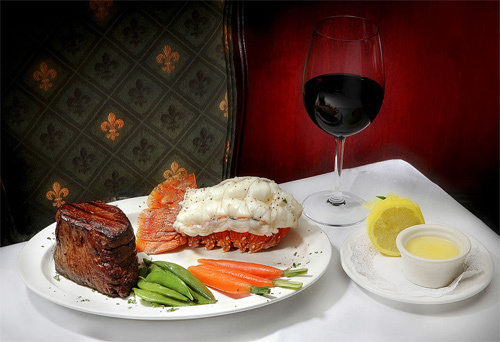 Steak and lobster when served separately is already scrumptious. What more if you take it in -one serving only? 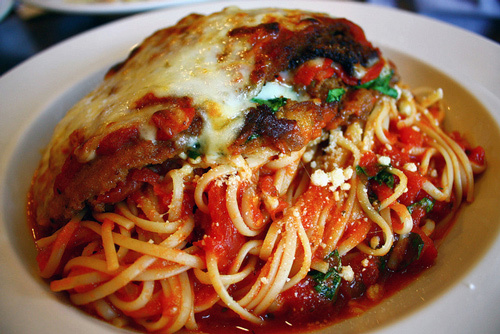 That will make your stomach full! 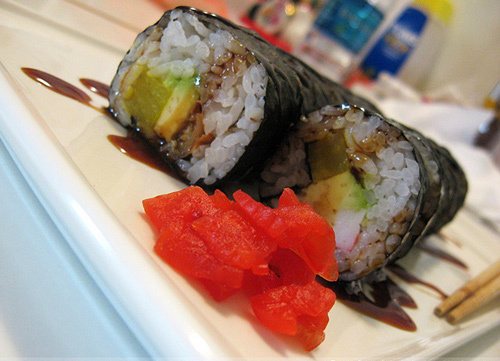 Who would expect that eel and avocado mixed together will make a salivating meal? 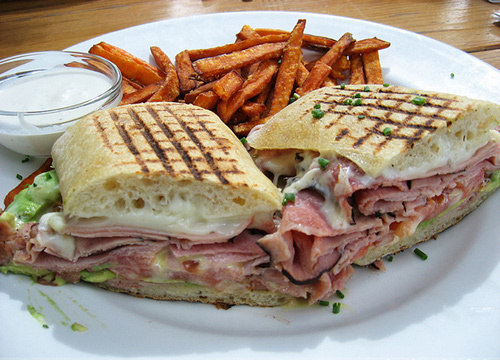 Now this one is one big breakfast with forest ham, mozzarella, avocado, tomato and honey mustard on Ciabatta bread! Ham with fresh lettuce, cucumber, white unions and tomato stuffed inside a slightly toasted bun makes one want to grab some more. 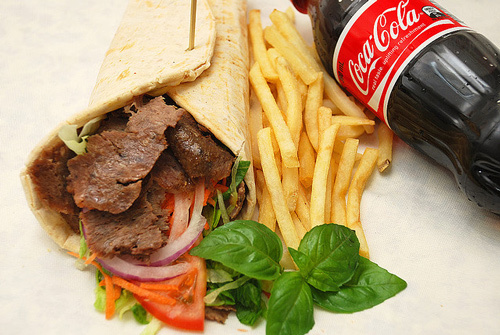 In the Middle East, Kebab refers to a wide variety of meat dishes which could be on a skewer or wrapped with bread and salad dressing. 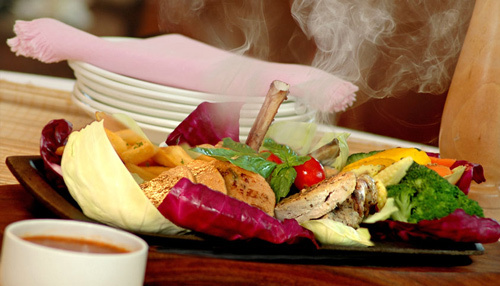 The traditional meat for kebab is lamb but others use beef, goat, chicken, pork, fish and even sea food. That’s new knowledge for some of us! 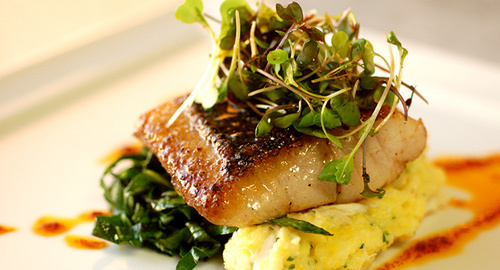 Mahi mahi is commonly known as the dolphin fish. 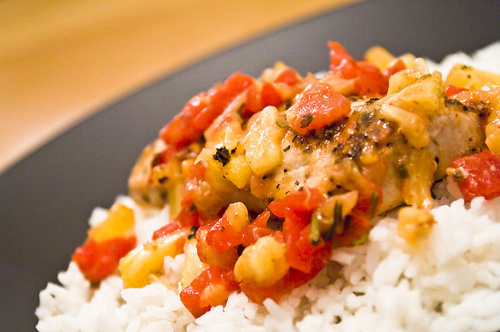 This meal uses mahi mahi meat flavoured with lemon pepper and pineapple sauce.. Cookies are truly yummy but if you eat that with this shape and style, it makes you want it more. 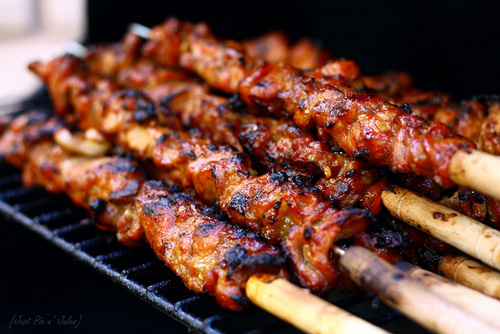 Grilled meat in a skewer! A delightful source of protein right from your grill or bought from a smoke house or a restaurant. Obviously hot and fresh! This is composed of vegetables and meat that will be a good way to make your stomachs satisfied. Cookies, cookies, cookies! There are different cookie flavours and chocolate cookies are the most loved ones. You may download this image in 1500×1108 pixels. A scrumptious looking cake that might send you to buy one after seeing this! Look at how inviting this viand appears! This one is surely luscious. 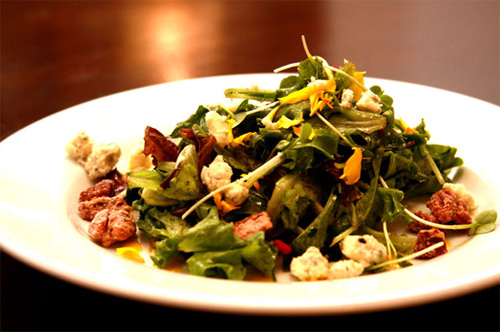 An appetizing salad with its fresh veggies and fruit mixes. 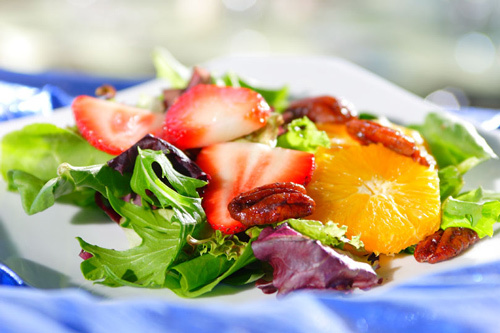 It is challenging to take photos of salads with fruits because of the short time the fruit pieces. But still, the photographer was able to take a great photo despite that. 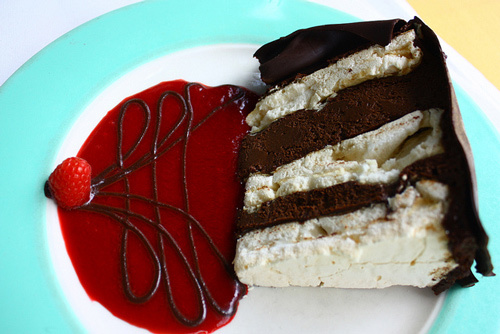 Another delicious dessert which certainly is mouth-watering with its strawberries and crushed chocolate. Yummy! 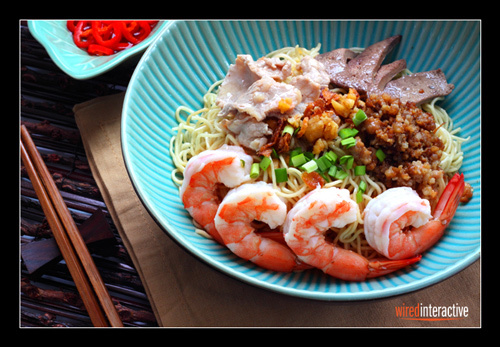 A Malaysian food noodles and sea foods that makes this a healthy choice for everyone. 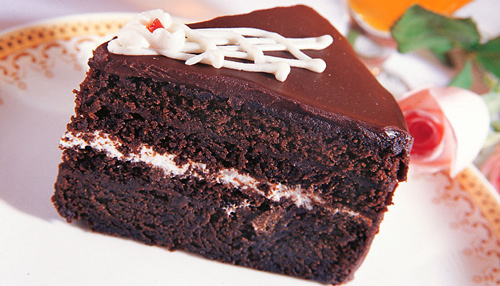 Another surprise for chocolate lovers with this chocolate frosted chocolate cake! Truly delectable! Chocolates! This chocolate filled treat could be best eaten with coffee as you chat with your friends so that you can finish this sweet stuff unnoticed. 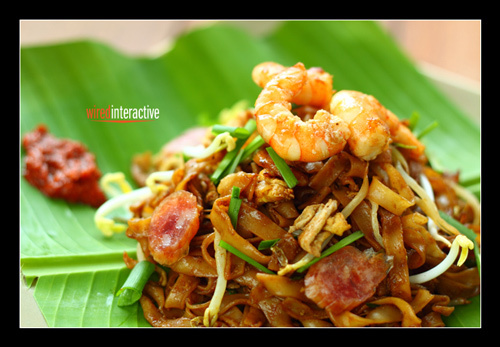 A favourite Malaysian street food that needs to be cooked fast under high heat composed of rice noodles, shrimp, sausages and spices. 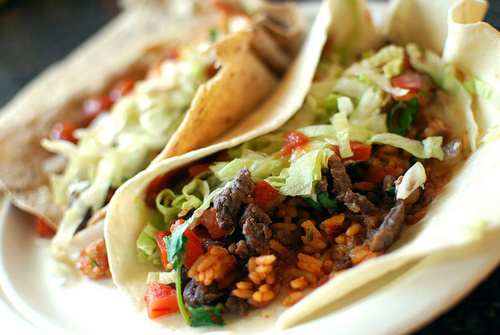 Taco is a traditional Mexican dish composed of corn or wheat tortilla which is folded or rolled around a variety of fillings. This allows this food for great versatility and variety. 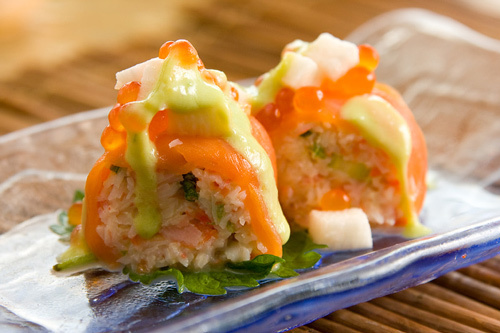 You can try it with different fillings and garnishes. 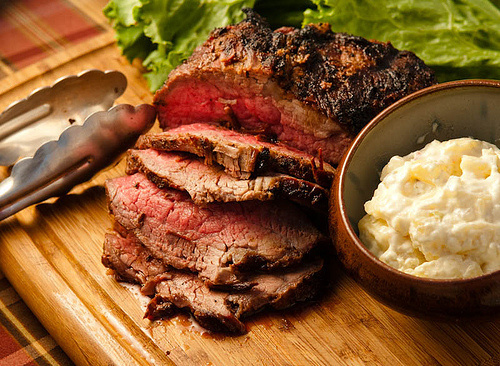 A garnished meat making it appear not just delicious but also totally tempting. Truly mouth-watering! Kudos to the photographers and the food stylist who made all those shots truly fascinating. 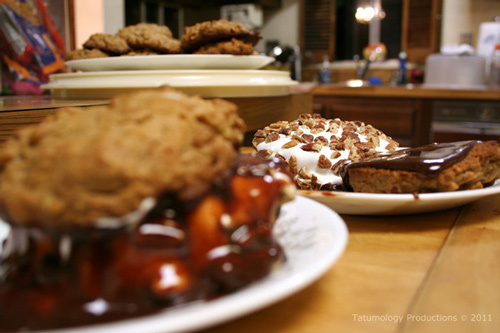 Why not take the challenge of Food Photography? 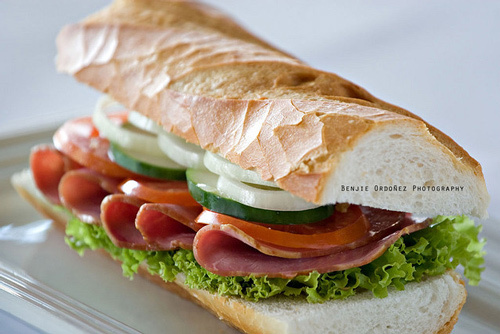 UMmm delicious 🙂 it makes me hungry lol well, thanks for the awesome food photos, could be use in such projects, thanks again..
Really nice group of food photography. These are well styled shots! 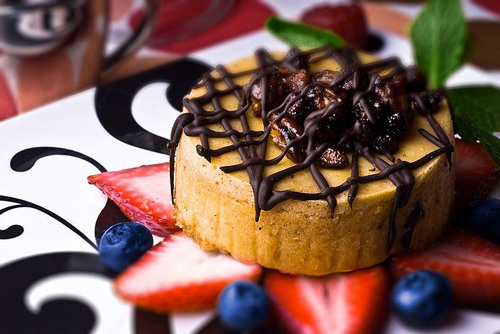 Food photography is a whole new art form, well done! 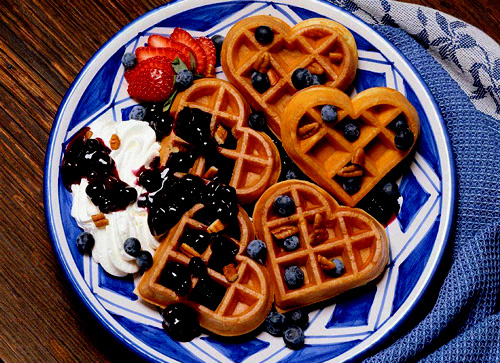 I think that is a waffle, not a cookie heart shape. It definitely makes me hungry, I want to eat all that foods. My favorite is Sushi and Barbecue Grill, not only because they’re my favorite foods but also the photography makes it look soooo delicious. Good job. Yummy! lol, will order it tomorrow!! Great tips and shots. I’ve tried a few myself and then enjoy eating the whole thang. Sometimes it’s a free meal. Those prawns look amazing – they actually appear juicy in the photo, great shot!